Time has come and gone and we have set a target date for departure to East Africa for 6 June. We still have so much to get organized and prepared and planned that with only 4 weeks to go the pressure is seriously mounting. Everyday things get added to the list as opposed to being ticked as done. The list is being reduced from the top but growing at the bottom. Provisioning the boat for 6 months and finalizing things at the office are my current priorities. 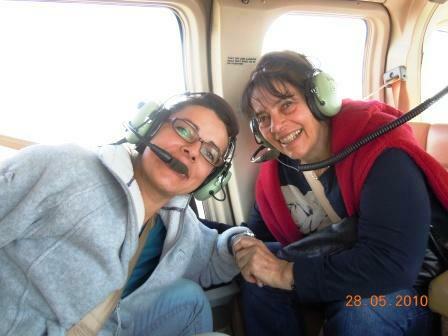 It's also Mom's big birthday on 1 June, hence the 6 June targeted departure date. We have been making several trips to Makro and Dischem, collecting provisions to ensure we have 6 months worth of the basics. We spent R11,000 at Dischem yesterday. 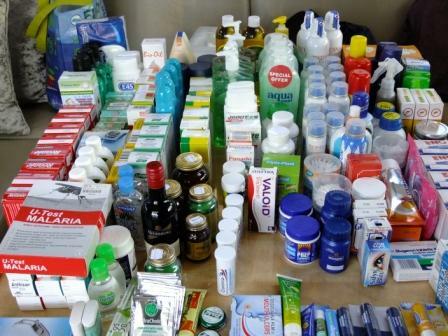 On our list was 25 tins of paff cream (sunblock), 20 boxes of Rennies, 10 bottles of cough syrup, 10 boxes of Valoid, Immodium, plasters, first aid stuff, shampoo, toothpaste, soap, tissues, Corenza, strepsils, and so on and so on. Other shoppers in the check-out queue thought we were crazy and couldn't resist asking why. Eventually we were sharing our story with the entire queue and received many well wishes and requests for crew jobs onboard Catatude. 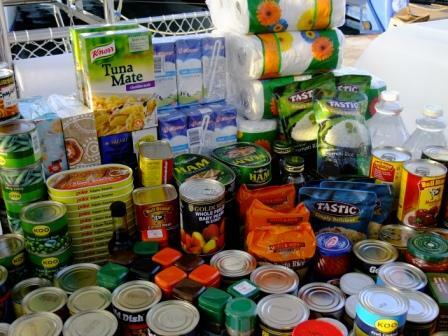 At Makro, we purchased things like 480 liquifruits, 25kgs of flour, 60 boxes of Nescafe Cappuccino sachets, biscuits, rusks, oil, salt, sugar, tea, loo roll, long life milk, marmite, cheese spread, pasta assortment, spices, cleaning materials, potions, lotions and everything we could think of that would last. Naturally 50 tupperwares were also required to keep things as fresh as possible. What a schlep to carry all these things to the car and then home. I still have to individually vacuum pack the 25kgs of flour (for bread) and the 25kgs of mealie meal into individual 2 man portions. Any volunteers? 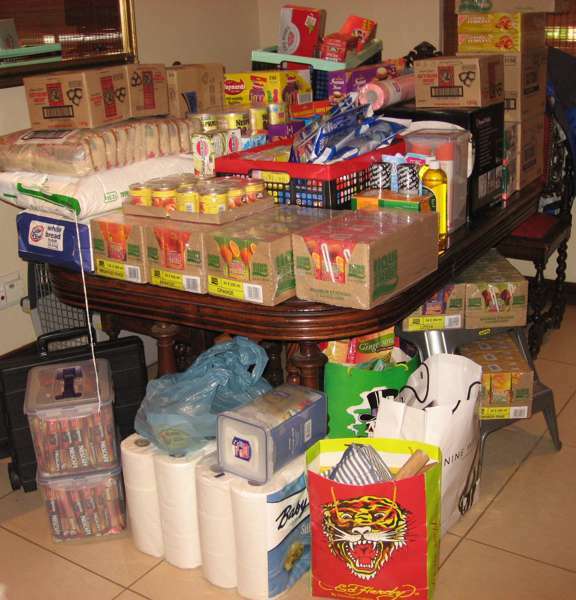 Tomorrow, Kev is driving down the bulk of the stuff to Durban in Chugg-a-lugg because there is so much that we may have to make several trips. 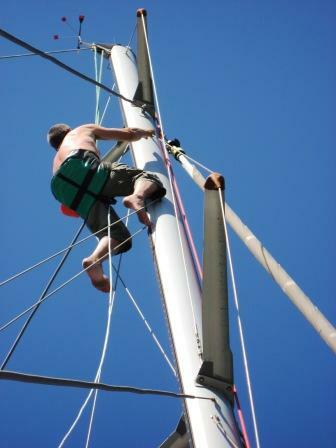 He will also continue with the boat chores on the list while he is down there. I will keep you posted as to how your list is progressing . . . . .
Well, we are slowly but surely getting through the boat list. The home list and the office list are not going so smoothly. Jules and Craig came down to Durban this week and helped Kev alot with some of the chores. There are just not enough nooks and crannies to fit all the provisions ! And Fuel, well we now have enough fuel to take us to Seychelles direct ! 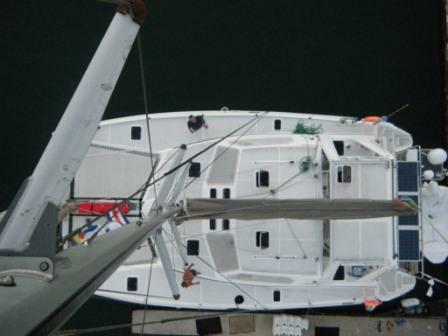 Craig volunteered to go up the mast to check the rigging and ropes for signs of fatigue or chafing (hence the arial pics). Its crazy at the office! Ju is galavanting with Jayna in New York on a mini shopping spree, Ve is in Cape Town, its increase time and we are busy with office renovations, leaving poor me to handle all 3 jobs! Plus Its Mom's big birthday this coming weekend, so organizing this was also priority. I feel like Superwoman, just wish I could fly around instead of wasting hours in the Joburg traffic. This was my last weekend at home! Scary thought. With the list grown to 104 items, we have 67 left, still to complete. Fortunately Kev came up from Durban and we used this time to the max, to chalk off items on the list. Home stuff like 6 months of pool chemicals and cat food, arranging security, arranging a fill-in for when Gladys goes home, service home alarm, changing all the garden lights globes, servicing the Range Rover to keep its warrantee active, paying telkom for 6 months in advance, arranging an on-call handyman friend (thank you Pea!) should anything need attention, arranging that the Vet collect & attend to any cat that may become sick, are all behind us now! Kev has now headed back to Durban, with the Landrover, which is filled to the brim. It's loaded with all our diving gear, a diving compressor, diving tanks, the pre-packed flour and mealie meal (thanks Kev, what a way to spend a Friday night, packing flour & mealie meal! ), our trip clothes, more linen, Fishing rods and reel and tackle, etc etc. A Knysna 440 cat can take a lot of stuff, but I think Kev Fouche (our boat builder) would raise his eyebrows if he saw how I am loading Catatude. I am taking cognisance of weight v practicality. Don't worry Kev! 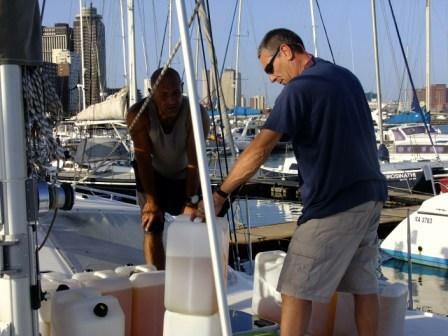 On Monday, in Durban, Kev is expecting Radio Holland to link the Navnet to the MaxSea Time Zero, and as we have decided to get a backup watermaker, the installation is also on Monday. Kev also has to collect the 2nd tender from the supplier, get the Dan emergency diving oxygen and defib kit, get spare parts for all the things that may require spares and prepare all the paperwork for clearing out of SA. A busy week ahead for both of us! 13 days to go . . . .
Well this past week, flew by. Many items on the list have been done, and there are quite a few items that have been put into motion and will only be crossed off pending delivery, receipt, acceptance, implementation or payment. The Range Rover went for its service and as sods law has it the garage kept it for 3 days, because they had no power! Poor show and an extreme irritation. I only have 9 working days left and they keep the car for 3 days. To crown it all, they needed to order a part and it has to go back for another 2 days this coming week. Things on Kev's side have also been an uphill battle. The 2nd watermaker has taken 5 days to install, and still it is not completed. Radio Holland (Pertec) Durban branch have erased everything on Kev's appleMac Pro in an attempt to get the MacPro to link to the Navnet system ! Worse still is that they "forgot" to make a backup of all his documents, photos, email addresses etc before erasing the exising operating system and installing one that they thought would be more suitable. Needless to say they are no further than the day they started and Kev has no link to his PC life before May 24th. They then gave his laptop to an IT specialist to return to it's original state and they are "very sorry". 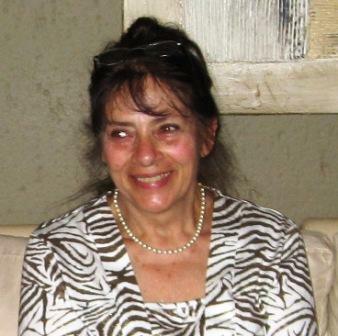 This weekend was Mom's 70th birthday and all my arrangements had to come together at once. 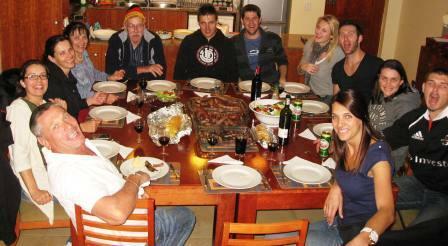 1 sister to fly in from USA, Viki and Dylan from Cape Town, Donovan from Knysna, Kev back from Durban, the chopper to fetch and return everyone, the cake, the prezzies and the accomodation for 13 people. On thursday I braved the 8am traffic and Brazilian soccer team supporters, for 2,5 hours to fetch Jackie (my sister who lives in USA) from OR Tambo. It was a surprise for Mom that Jackie would be here to celebrate her birthday. Mom was really shocked to see her but also very chuffed. It warmed my heart to see Mom's happiness at having Jax's around for a few days. It was worth everything. We left by chopper for Sun City on Friday afternoon from the Polo fields in Kyalami and 40mins later we were in Sun City. What a fantastic weekend we had. 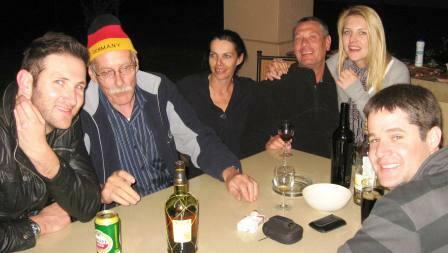 A crazy bunch, my family is! We drank alot, ate alot, laughed alot and it turned out to be a really fun, special family weekend and birthday celebration for Mom. I think everyone is on the wagon this week! Happy Birthday Mom, we love you long & Hard ! So, its back to the grindstone for the next few days. Kev back to Durban to ensure the watermaker installation is completed and that Pertec fix their mess up, then he has to drive the Landrover back to Joburg. My list includes last management meeting, secure and finalize home things for 6 months away and to complete the items on the list. 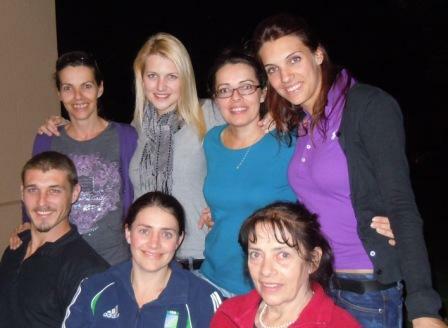 Then we still have farewell dinners, pets to see to, last packing and lots more! Weve just completed a 50/50 week. Many things came together and many trying times. On my side Chubb didn’t pitch for the home alarm service, The Range Rover that went back to McCarthy for two days came back , with the new part but still having the same old problem, I had to take one of our cats who fell ill to the vet, unfortunately she didn’t make it, Pick n Pay online shopping delivered the cat food 3 days late, several staff off sick and a few with ‘temporary nuts syndrome’ and my EFT banking token has packed up. 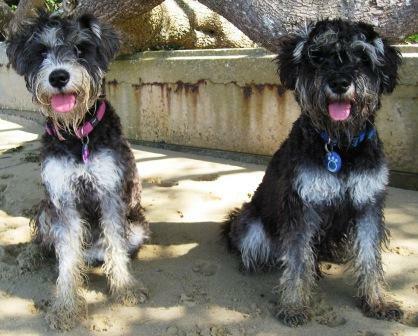 We have decided not to take the puppies with us on this leg as we are quite keen to go to Seychelles, and they have a strict no pets policy, due to their rabies free history. Vads and Mom have offered to look after them whilst we are away. At least I know they will be loved and cared for (probably even more so than if they were with us). Thanks Mom, you little champion! On the brighter side, my handover management meeting went well, my list is being is chalked off at a rapid rate, I was able to spend some time with Jackie (my sister from US) and also got to sleep over at Vads and Mom for an evening. Kev left Joburg on Monday evening straight from Sun City because the watermaker installation and the Navnet/MacPro/MaxSea/Pertec saga were due to be continued on Tuesday am. 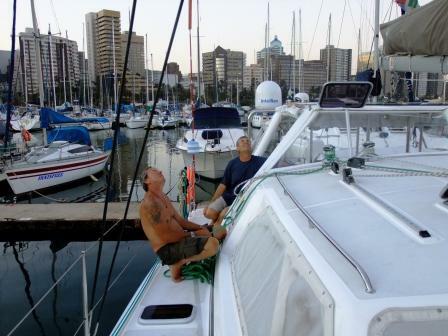 In Durban, things were trying and Kev’s patience was being tested to the limit. Only after intervention from the MD of Pertec/Radio Holland did some action get taken and things were done to remedy the situation. Needless to say the issue of linking the Navnet to the Maxsea Time Zero, which is what we originally wanted, is still not done, but at least we are back to where we left off before Pertec came. Well we are still minus all the documents, pics, etc that were on Kevin’s MacPro. 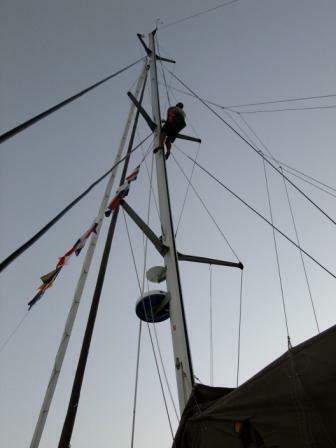 The screecher Halyard (rope that hoists the front sail up and down) frayed at the top loop and fell down into the mast, and the sail onto the deck. The final watermaker test was done on Friday afternoon at 16h00 and Kev is very happy with the water quality and the installation (although very slow) is very neat and tidily done. Kev drove the landrover back to Johannesburg on Saturday morning to park her at home. He was exhausted. On Friday, (my last day at the office), I tried to tie up 20 years and when I looked again it was 5pm and everyone was wishing me luck and bon voyage. I was certainly very pleased that I was alone at home that evening to come to terms with leaving it all behind. It was very, very hard. Saturday was more family goodby’s. Jackie flew back to US and we were leaving on Sunday morning for Durban, so we had a little family farewell for both her and I at Moms. More tears. On Sunday, my Dad fetched us from home and took us to Lanseria. Once in Durban we started to get Catatude ready. 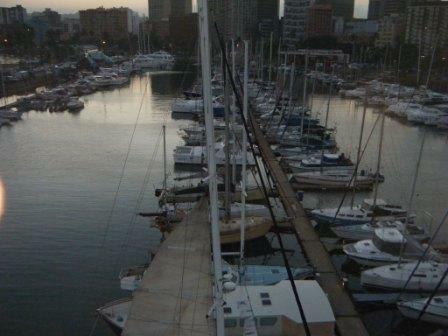 The weather showed a favourable window for us to sail on Sunday 13th June so that is our planned date of departure. Everything is so slow here in Durban. You get to do 6 things a day whereas in Joburg you would get to do 26 things a day. I am going to have to get used to this! 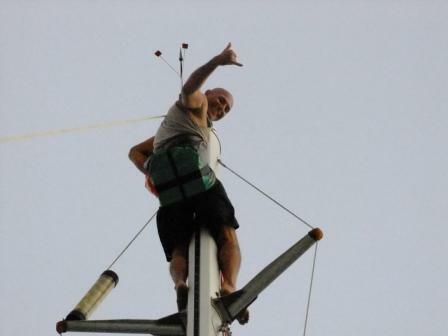 Jules (Kev’s brother) flew down to help Kev re-attach the spinnaker halyard on the top of the mast and last odds and ends were sent by courier down from Joburg. We did our fresh provisioning, meat, cheeses, fruit and veg and I feel like we have enough food to feed an army for 6 months never mind just the two of us! We are going to have to watch our weight. We met the young skipper, Ian from Yacht HQ Simegeror and he was absolutely fantastic about giving us waypoints for anchorages, boltholes, entrances to channels, Bassas Da India moorings etc etc. Being our first time to this area, we were very grateful as it cuts trial and error down substantially. We have had visitors aboard every evening, and our ‘wine and biltong for the trip stock’ is deeply dented , we will have to restock before we go. I’m gradually getting into the slower way of life and not so frustrated with it any longer. Clearing out of Durban was less hassle than expected. Perhaps because we did it on Opening match soccer morning. All government employees were exceptionally friendly and helpful and we were done within an hour. You need to checkout at marina office & get paperwork, then on to SASailing, then go to Port control, then to customs, then to immigration, then back to port control and voila one piece of paper and two passport stamps later you can leave the country. We were however asked if we had stowaways? 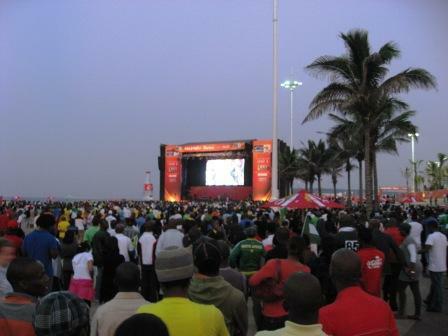 Later we watched the soccer at the pub here at the Durban Marina, and enjoyed the festive vibe of the Durbanites. There seem to be lots of Brazilian fans from abroad here. On to Next newsletter . . . .